To finish the registration, user goes to his/her mail box and search for email from Vietrade.biz and click the link inside the email. 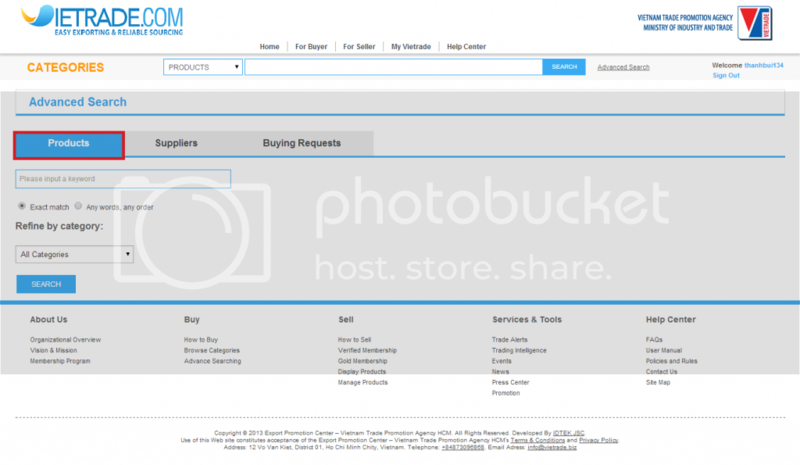 User can click the Contact Detail link at Product page to ask supplier about product. 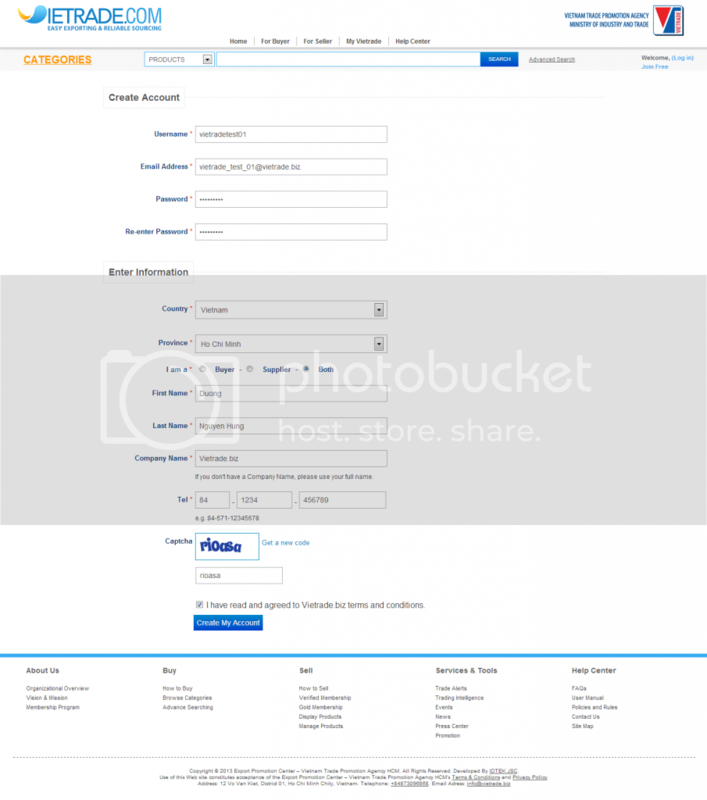 User can also scroll down the product page and click the contact Supplier link. 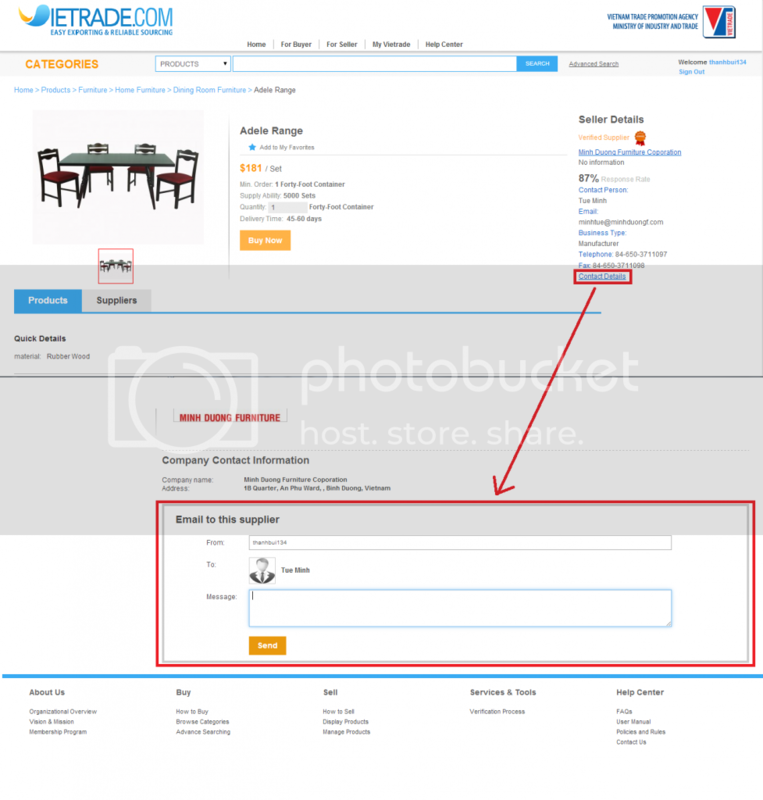 With product with no price, buyer can click on "Get Latest Price" to ask directly supplier for price.